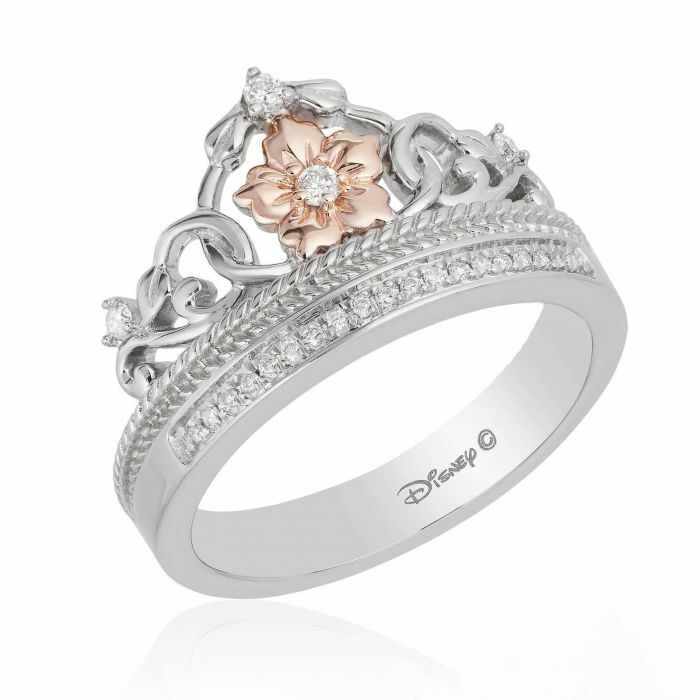 From Enchanted Disney Fine Jewelry, Rapunzel’s Tiara Princess ring will make all of your dreams come true. Crafted from sterling silver, this ring’s design features the iconic Magical Golden Flower set within the tiara design. The ring features sparkling round diamonds along the band and accenting the tiara design for a brilliant look. This ring measures 13.1mm in width and is only available in a size 7. Diamonds are 1/10ctw, J or better in color and I3 or better in clarity.